Mage of Silence by Edward Kendrick is now available! 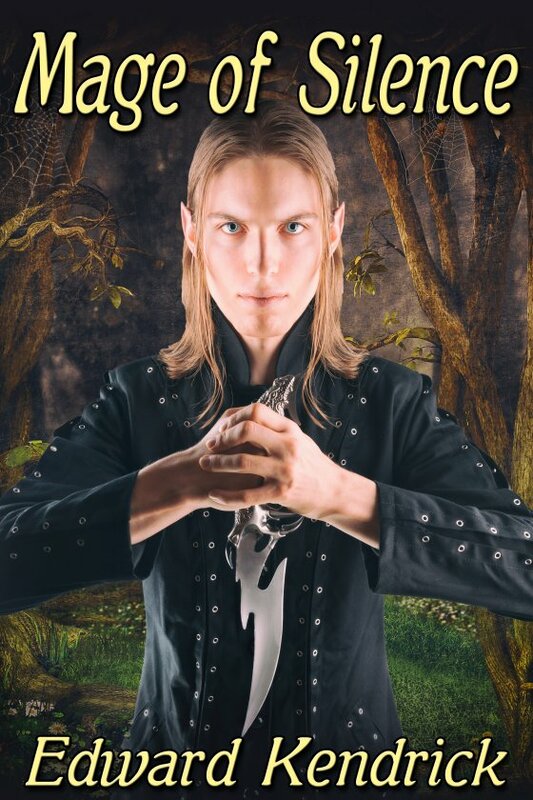 Castien, an elf mage who cannot speak except with the aid of a magical dagger, has been captured while on a mission. He is freed by his companion, the warrior elf Daeron, and returns with him to Daeron’s homeland. There they will join forces to rid the land of a Lord bent on the destruction of the elves. Theirn, a young half-elf thief, attempts to rob Castien during his stay at an inn and is caught by the mage. Much against Theirn’s will, he is enlisted into the group of rebel elves. But as Theirn’s infatuation with Castien grows, he becomes more than eager to risk treachery, betrayal, and even death on dangerous missions just to be close to the man he is growing to love.